Israel is known for its historical, religious, and archaeological landmarks, especially in its capital, Jerusalem. Many people don’t know that beyond the old towns and cultural sites, there’s a huge range of natural beauty to be seen and smaller villages to enjoy. 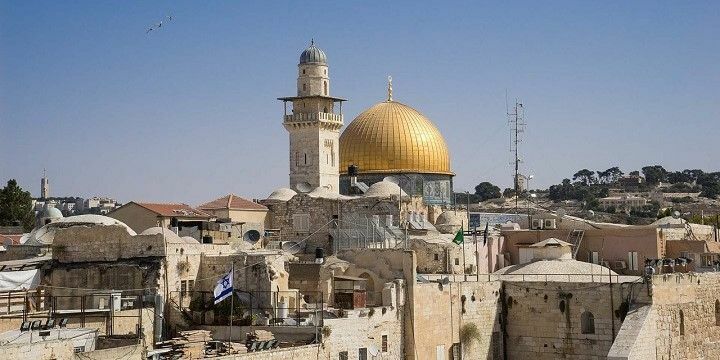 Jerusalem’s Old City is divided into Christian, Armenian, Jewish, and Muslim Quarters; however, you can stroll between them easily to see all of the spectacular old buildings. The Waiting Wall is an important place of prayer for Jews. 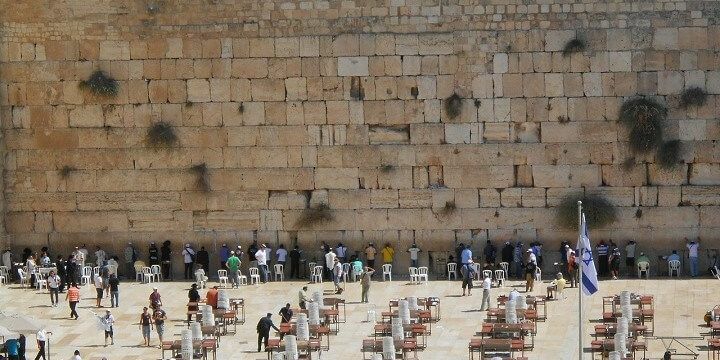 One of the area’s most popular sights is the Waiting Wall, also known as the Western Wall, which is an important place of prayer for Jews, and has remained intact, despite Jerusalem being attacked and rebuilt nine times. Jerusalem is a mix of older and newer neighborhoods. Outside of the Old City, you’ll find many quirkier neighborhoods, including Hutzot HaYotzer and Nahalat Shiva, both of which offer a variety of galleries and ceramics studios. The ancient fortress of Masada was built by King Herod about 2,000 years ago, and sits on top of a hill overlooking the famous Dead Sea. You can reach the fortress via cable car, or hike for thirty minutes up the steep Snake Path. 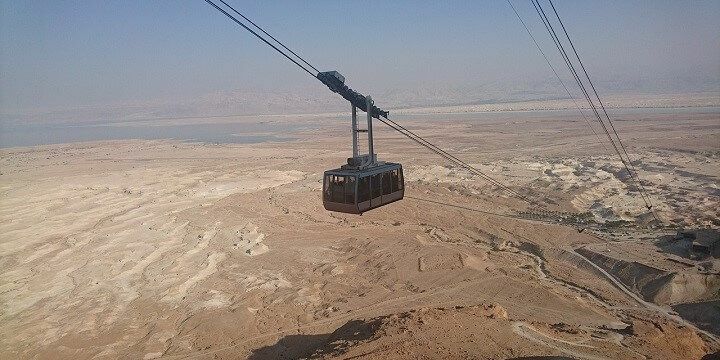 Take the cable car to the fortress of Masada. Head east from Masada to find Ein Gedi, a huge nature reserve with waterfalls and gorgeous botanical gardens. Ein Gedi is home to nine hiking routes, the most popular of which is the Wadi David, which will take you to the breath-taking David’s Waterfall. The Dead Sea is ten times saltier than the ocean! While you’re in this area, be sure to stop off at the Dead Sea. 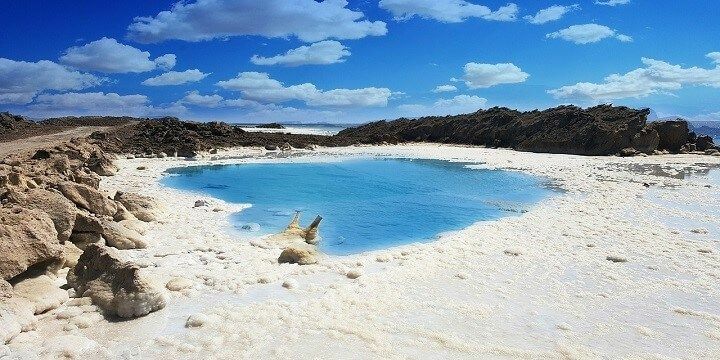 At 422 meters below sea level, this is the lowest point on Earth and is ten times saltier than the ocean! Israel’s "second capital" Tel Aviv has several quirky districts. If you love art, check out the Florentin District for galleries, street art, and graffiti. 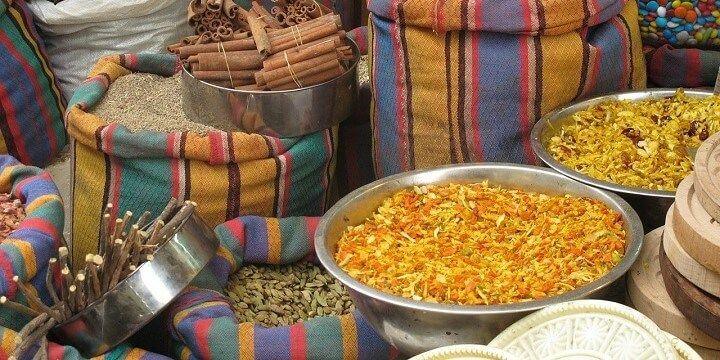 Foodies, meanwhile, will fall in love with the Carmel Market in the Kerem District, where you can try local delicacies including Medjool dates, tahini, and baklava. Tel Aviv is also known as Israel's "second capital". After exploring Tel Aviv’s popular city center, relax on one of its 16 beaches. Gay Beach is particularly popular among the LGBT community, while Banana Beach has a great surf school and a communal drum session every Friday. Head further out from Tel Aviv’s center to find Jaffa, the oldest port in the world, which attracts visitors with its cobbled alleyways and quirky galleries. 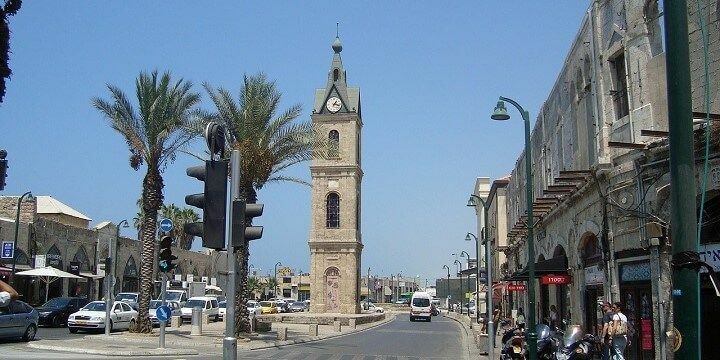 Jaffa is the oldest port in the world. Haifa and Akko are located just north of Tel Aviv, and can both be explored in a day. Haifa is best-known for the beautiful Baha’i Gardens, located on the northern slope of Mount Carmel. 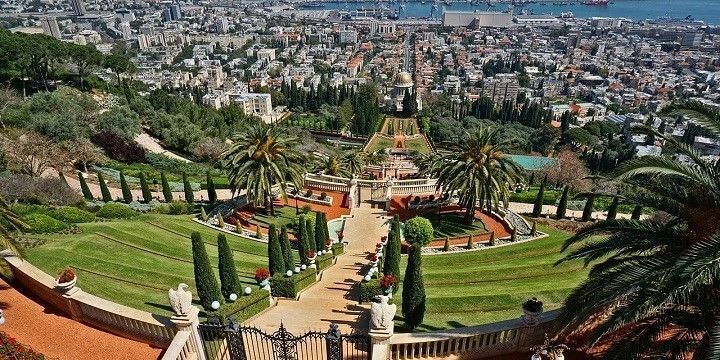 Haifa is best-known for the beautiful Baha’i Gardens. 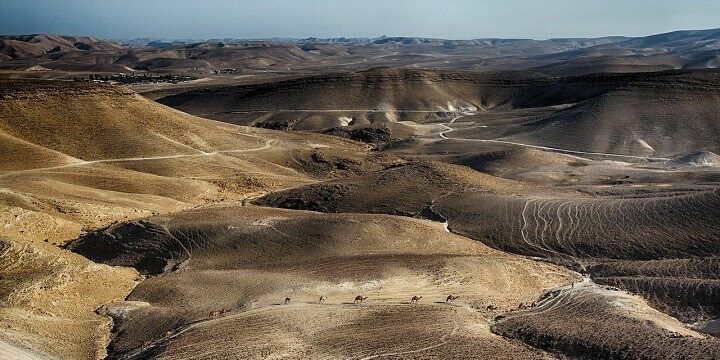 Head further into the mountains to explore Mount Carmel National Park, Israel’s largest national park. Stroll around 100 square kilometers of pine, eucalyptus and cypress forests, and check out the caves, picnic areas, and play parks. Alternatively, head down from the gardens to find the trendy German Colony neighborhood, home to Haifa’s best bars, restaurants, and shops. The medieval city of Akko is famous for its crusader tunnels and ancient walls. Walk along these walls, constructed in 950 AD, for a bird’s eye view over the city. Alternatively, head underground to Templars’ Tunnel, a 350-meter-long tunnel system built in 1187, but not discovered until 1994. Be sure to check out Akko's main market in the Old City. If you need to re-energize after all that walking, check out the main market in the Old City for fresh baklava and pomegranate juice. The southern city of Eilat is surrounded by unique natural beauty. Drive 25 kilometers outside of the center to find Timna Park. Covering 15 square kilometers, Timna is best known for the Hidden Lake. The lake’s bright turquoise waters contrast the striking surrounding red rock formations. Timna Park stretches over 15 square kilometers. 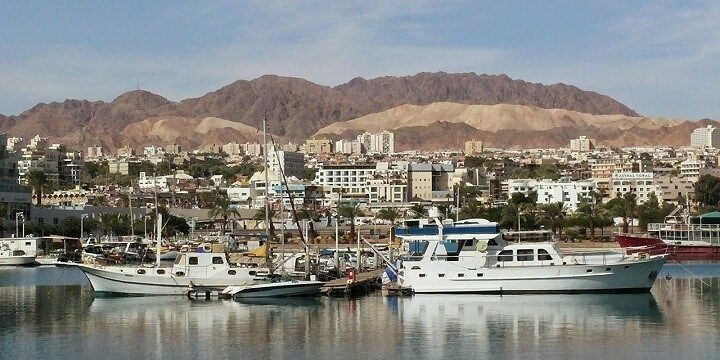 Head back into the city of Eilat for spectacular Red Sea beaches. Dolphin Reef Beach, for example, is the perfect place to spot and swim with dolphins, while Mosh’s Beach is a fantastic, clean chill out spot, full of restaurants and food stalls. The city of Eilat features some spectacular Red Sea beaches. If you want to try your hand at scuba diving, head to Coral Beach Nature Reserve, one of the world’s most densely populated coral reefs, which covers 1.2 kilometers of coastline. If NextStop24 helped you to choose your next travel destination, we'd be very grateful if you’d search for your accommodation and things to do in Israel through these links. They're affiliate links, which means that we will receive a small commission for every booking made through them. There are no extra costs for you; you'll simply be helping to keep NextStop24 running. Thanks! There are a lot of beautiful cities in Israel. I recommend to visit in Jerusalem , there is a beautiful bazaar and the Western Wall. In Tel Aviv there are beautiful restaurants, hotels, beach 🏖 and malls. Netanya is one of the most pupillary cities that tourists come there. There is a gorgeous promenade on the beach and good restaurants and hotels. Walking on holy land is something you cannot explain you can only feel. The people are very opinionated and not afraid to let you know. We had tour guides for the major destinations and it was worth it. Dead Sea and Ein Gedi I did not care for Masada.